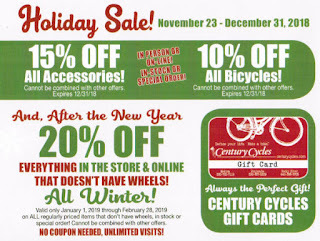 Century Cycles Blog: HOLIDAY SALE! Save on ALL Bikes, Tune-Ups, and EVERYTHING! 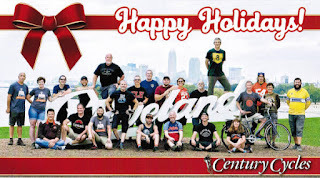 HOLIDAY SALE! Save on ALL Bikes, Tune-Ups, and EVERYTHING! 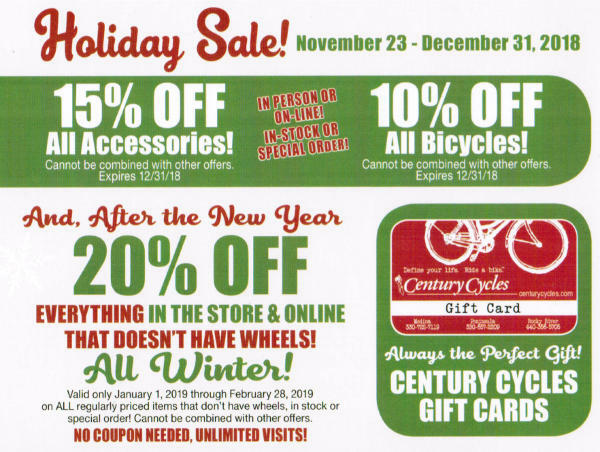 Stop in or shop online during the Century Cycles Holiday Sale, now through December 31, 2018! No coupons needed! Online shoppers will see the discounts in your shopping cart! 15% OFF All Clothing, Parts, & Accessories! Our Biggest Discounts EVER on Bicycle Tune-Ups! $30 OFF Any Complete Bicycle Fitting! Open for our regular hours on all other days!